Open field, meadow and agricultural habitats. Caterpillars feed on many wild and cultivated plants, including dandelion, alfalfa and barley. Early spring through late fall. In northern parts of range, migrant only (can’t survive the winter). 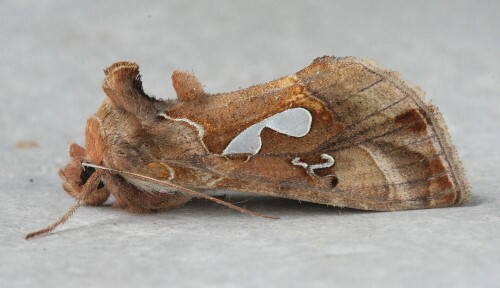 This entry was posted in moths and tagged Bilobed Looper. Bookmark the permalink. Beautiful! I got several images of one of these last month here in extreme northeast Wisconsin, and my ID search brought me here. Great blog!